As was widely expected the rate-setters for the Bank of England have voted unanimously to keep the base rate on hold at 0.75%. It's not surprising the bank have decided to remain in wait-and-see mode given the major political uncertainty at present, and don't expect anything drastic from them until there's greater clarity on Brexit. The market reaction has been pretty quiet with the GBP/USD rate remaining near its lowest level of the day at $1.32. The Bank of England’s Monetary Policy Committee (MPC) held the Bank rate and the stock of the assets purchased unchanged in line with the market expectations while citing Brexit uncertainties ion lowering the short-term outlook for the UK growth. The Bank of England cited its own research in Agents summary to confirm that more than half of the UK companies began to implement no-deal Brexit contingency plans. Moreover, the Brexit uncertainty could lead to greater volatility of the economic data that would, in turn, be less of a signal for the outlook. The Bank of England have kept their base rate unchanged at 0.75% as was almost unanimously expected, with a 9-0 vote split amongst rate-setters. The Pound has dropped to its lowest level in almost 3 weeks in the initial reaction and fallen back below the $1.29 handle, although it should be stated that the market reaction is fairly muted. The progress in Brexit negotiations is slower than expected. The next round of negotiations, originally scheduled on September 18, is postponed by a week. Media reports suggested that UK's PM Theresa May was preparing to make an "important intervention" on the talks. While the UK urged the EU to be more flexible and to move to trade deals, the EU insisted that the “divorce bill” issue has to be resolved first. EU's chief negotiator Michael Barnier noted last week that he was “very disappointed” by the UK government as it “seems to be backtracking” on commitments to the bill. While the hawkish members, mainly Michael Saunders and Ian McCafferty, would warn of strong inflation on the economy, the rest would consider the overall economic environment and uncertain outcome of Brexit as key factors to keep the monetary policy unchanged. Founded in 1694, the Bank of England (BoE) is the central bank of the United Kingdom. Sometimes known as the ‘Old Lady’ of Threadneedle Street, the Bank’s mission is "to promote the good of the people of the United Kingdom by maintaining monetary and financial stability". The Bank of England is responsible for keeping the UK’s economy on the right track. They operate monetary policy by moving Bank Rate up and down and, in certain circumstances, we also supplement this with measures such as quantitative easing. 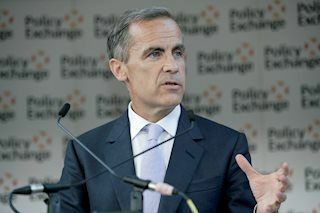 Mark Carney is Governor of the BoE and Chairman of the Monetary Policy Committee, Financial Policy Committee and the Prudential Regulation Committee. His appointment as Governor was approved by Her Majesty the Queen on 26 November 2012. The Governor joined the Bank on 1 July 2013.